Hey everyone! I'm here this week with another fun, simple, post using my Cricut Maker. 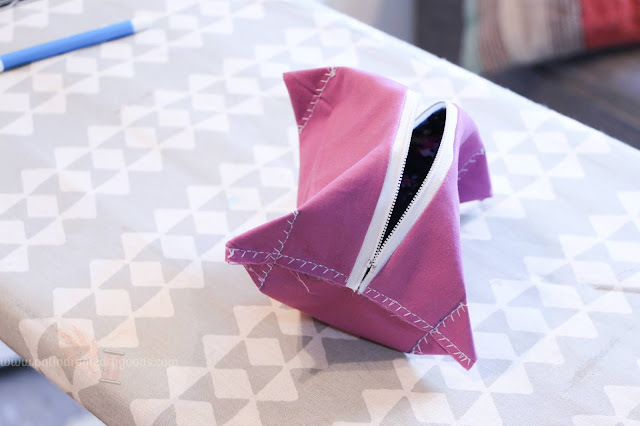 I'll be answering some of the most common questions about the Maker, and then I'll be showing you how to use it to create one of my favorite things to sew: boxy zippered pouches. So, let's get to the questions! 1. 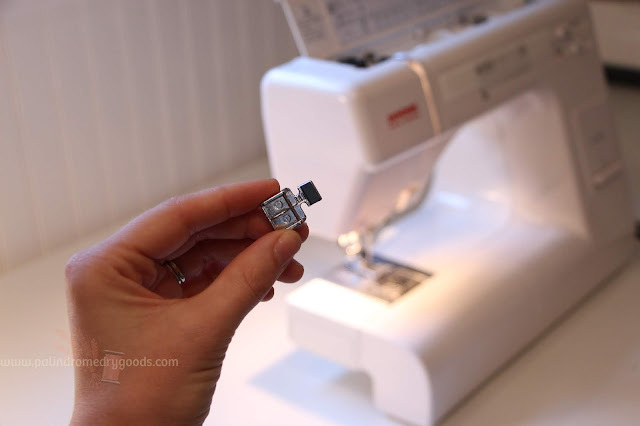 Will I use my machine enough to justify the price? Well, that depends. 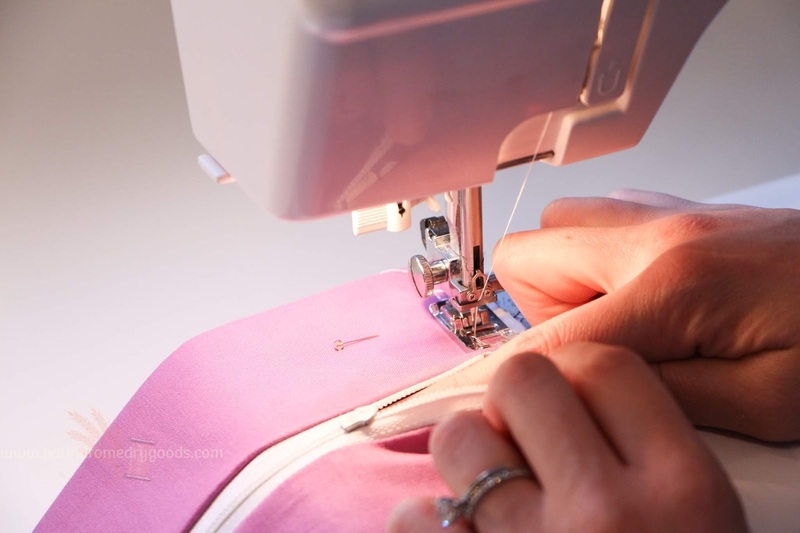 If you exclusively sew garments for adults, then no, you probably won't. If you're someone who likes to venture outside of sewing crafts and enjoy making cards, gift tags, party decorations, and other paper crafts then yes, yes, yes! You will absolutely use your Maker enough to justify the price. 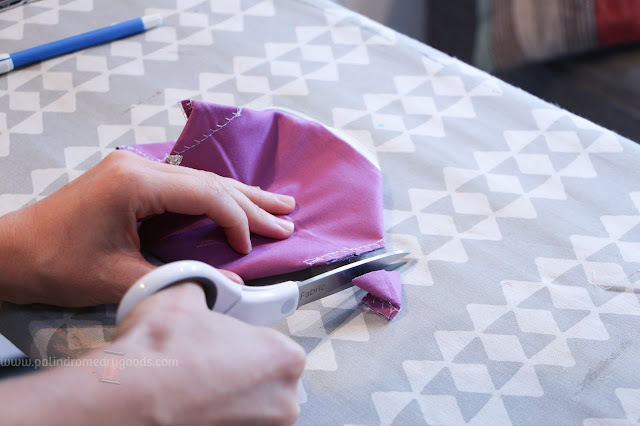 If you love to sew for your kids, and love to create smaller crafts, doll clothes, quilts, and smaller housewares like potholders, then the answer is, again, YES. The Cricut Maker is so great for smaller projects. 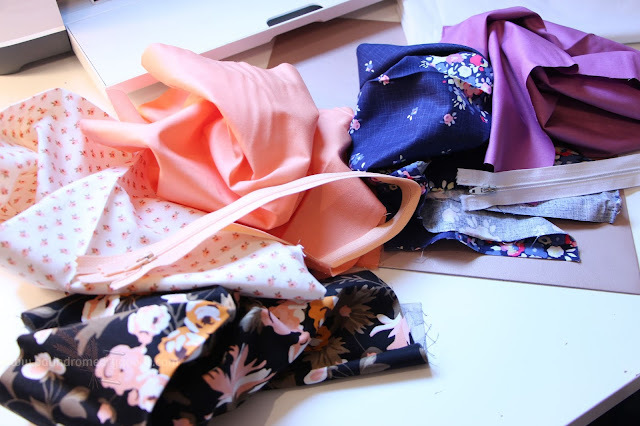 The full collection of beautiful Simplicity patterns available through Design Space are magnificent for making kids clothes and accessories. Big into quilting? 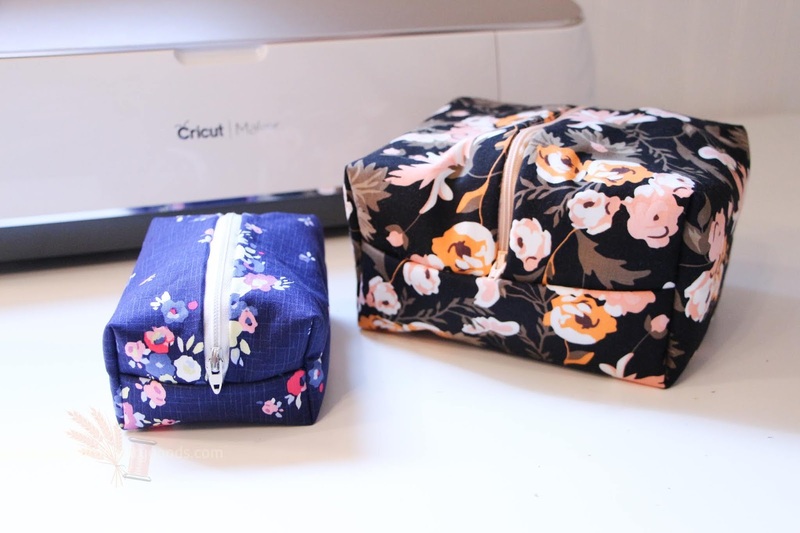 Cricut thought about you too and partnered with Riley Blake to create fan-tas-tic quilt patterns. 2. What materials can I cut? I LOVE this question. Oh my gosh, you can cut so much. Are you ready? Leather, felt, paper, fabric (see the questions #3), tissue paper, chipboard, mat board, cardstock AND MORE. 3. What fabrics can I cut? 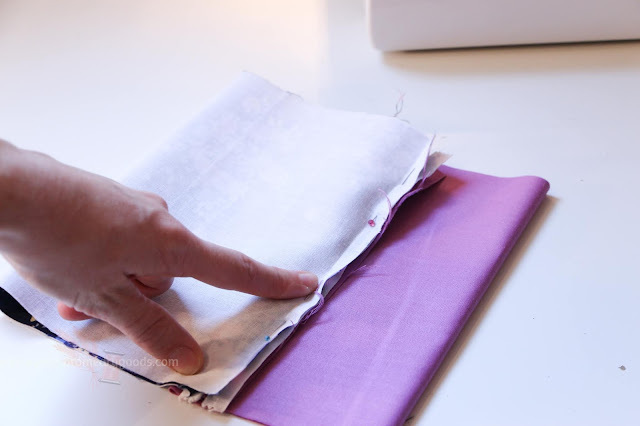 What fabric can't you cut, might be a better thing to ask. 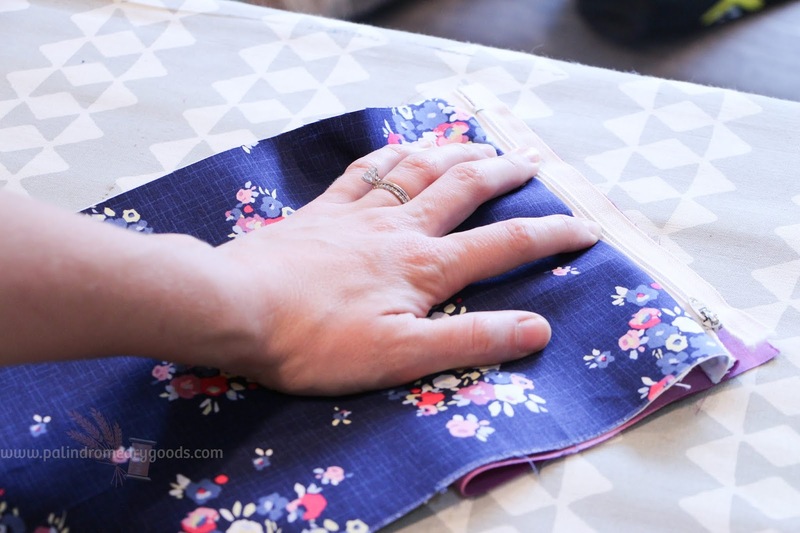 The Maker effortlessly cuts canvas, chiffon, burlap, quilting weight cotton, denim, leather, linen, taffeta, knit fabric, charmeuse, organza, felt, vinyl, iron-on fabric, terry cloth, wool, interfacing, osnaburg, rayon, seersucker, twill, broadcloth, oil cloth, diaper cloth, muslin, toweling and even more. 4. Will it be easy for me to use the software? If you're accustomed to using a tablet or a smart phone on a semi-regular basis, I think you'd be just fine. 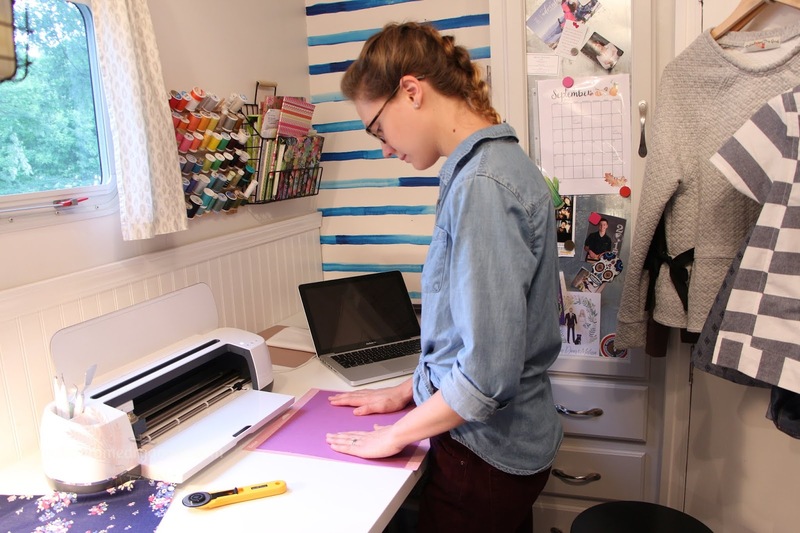 Like any new piece of technology or software, learning how to use Cricut's Design Space takes a bit of practice. 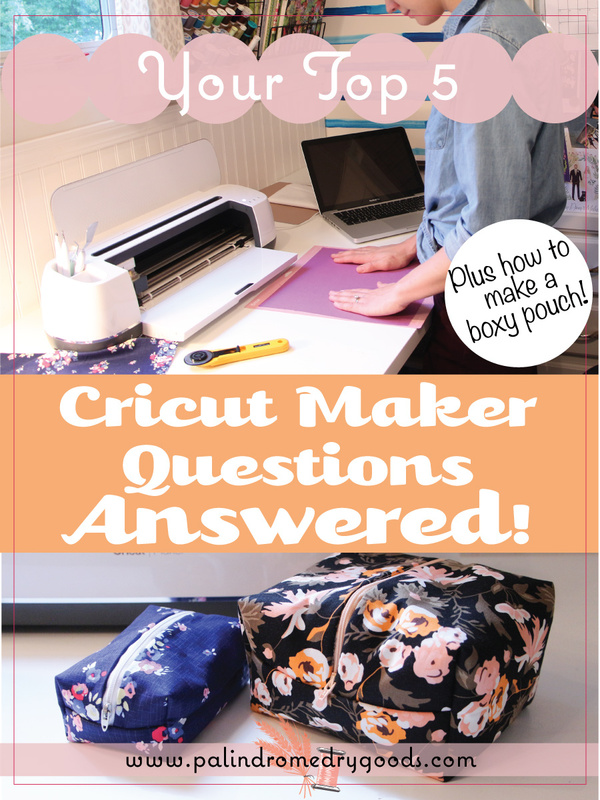 I can tell you with confidence that I learned the software easily through some very helpful video tutorials (just type Cricut maker into Youtube and soak in all the info!). I would say that by the third use of my Cricut Maker I felt confident with my ability to create, edit and cut designs. 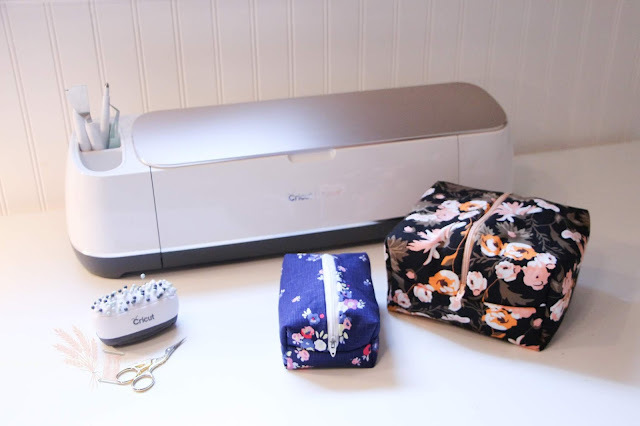 When you purchase your Cricut, it arrives with a very nifty little 'starter project' that walks you through the basic steps of cutting, scoring and drawing. 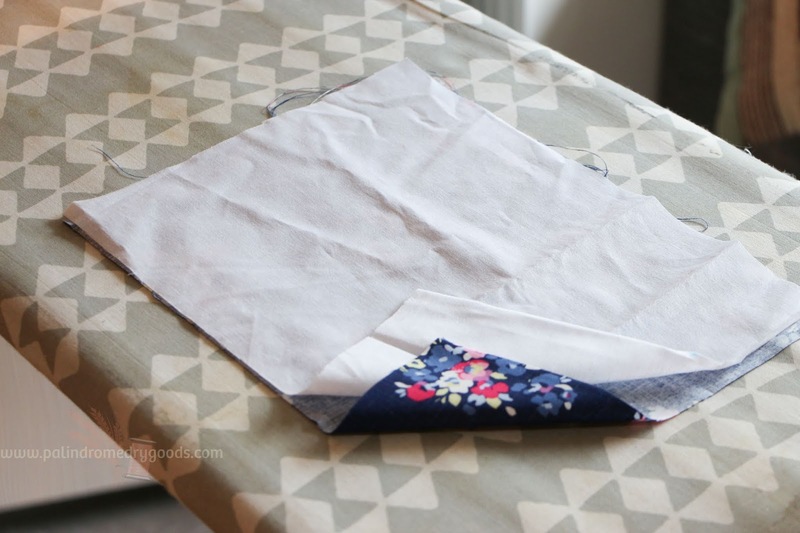 This starter project is very helpful and will help get your feet wet. From there, my advice would be to spend a couple of hours playing around and making practice projects to learn all the great features of Design Space. 5. 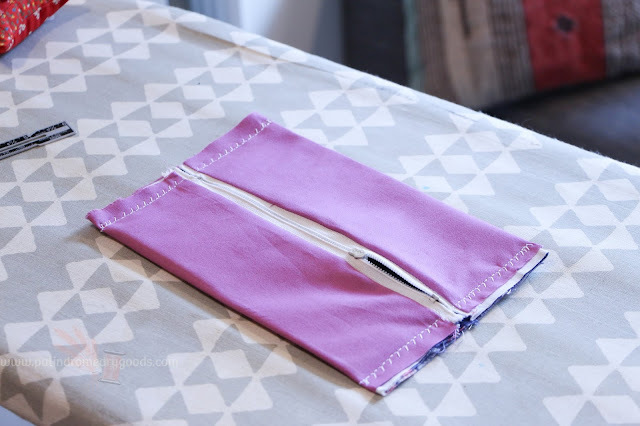 What kind of DIY projects can I make? 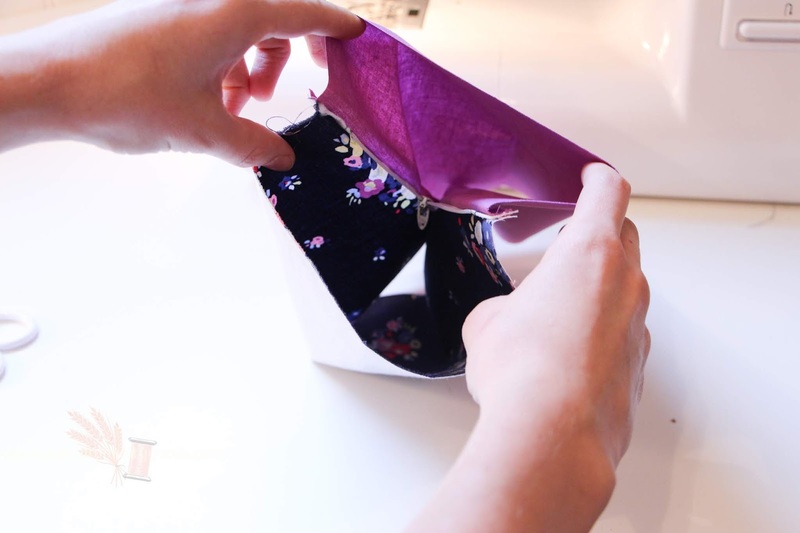 I touched on this a bit earlier, but you can make everything from paper crowns for a birthday girl's party to leather cuffs to soft baby clothes. 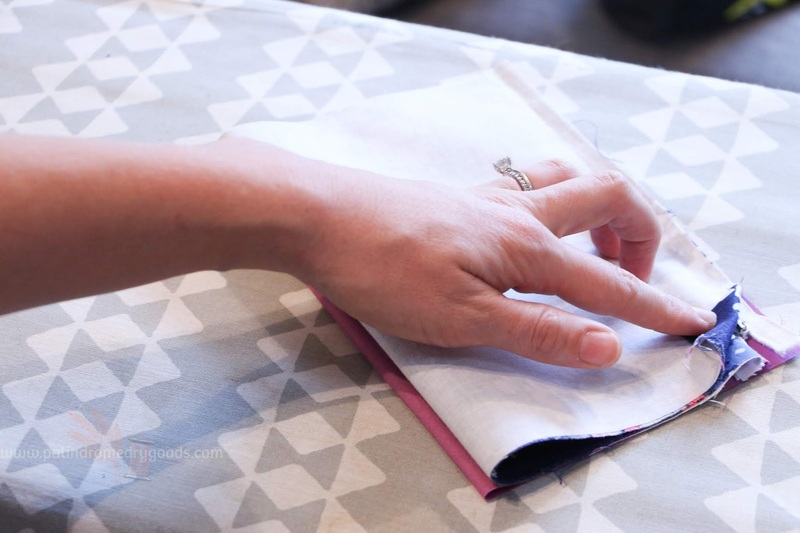 Because the Maker is capable of cutting through so many materials like paper, fabric, leather and mat board, the possibilities are expansive. 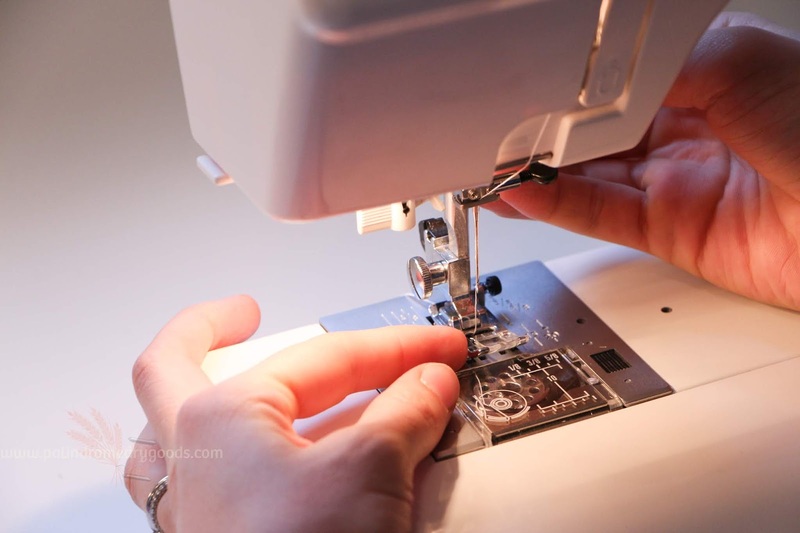 Handmade cards, party decorations, masks (like I made in this post), doll clothes, women's accessories, purses and hand bags, baby clothes, quilts, vinyl stickers and decals, and felt houseplants are just a few of the things I can think of off the top of my head that the Cricut Maker is capable of helping you create. Personally, I've made layered fabric Halloween masks, placemats for little ones, leather can koozies (post coming soon! ), leather clutches, a beautiful eyelet corset top, and a bevy of birthday cards with my Maker and I know that's only the tip of the iceberg of what I'll use it for. 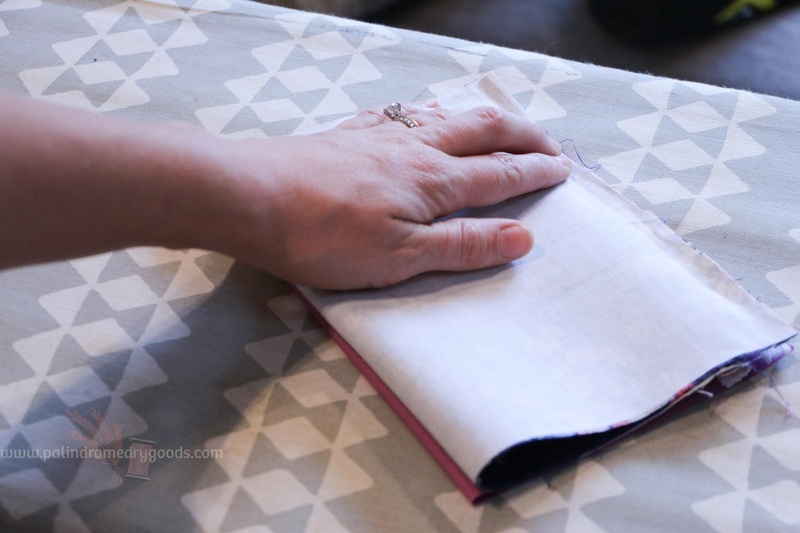 The Maker makes such precise, lovely, cuts, which means it saves you time and energy and allows you to get to the fun part: creating! Keep on reading to learn how to sew these super handy zippered boxy pouches! Though I'd highly recommend using your Maker to help you create these, you can easily sew them without one. This is a great practice project to do with your maker, because all we'll be cutting are rectangles. 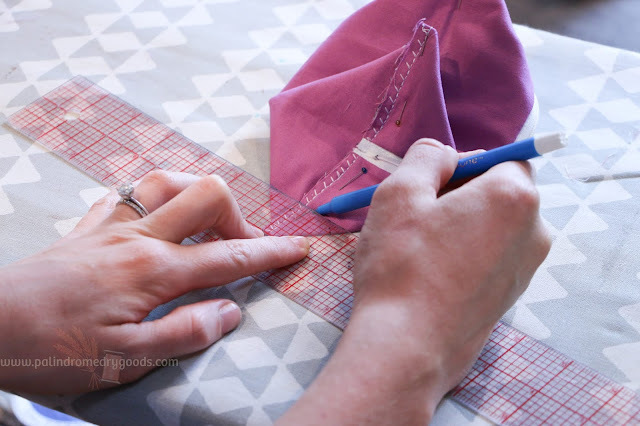 This is a great way to start getting comfortable with how Design Space works, how to create a basic shape and how the Maker cuts. The finished blue pouch measures 2" tall x 5" long x 3 1/4" wide. 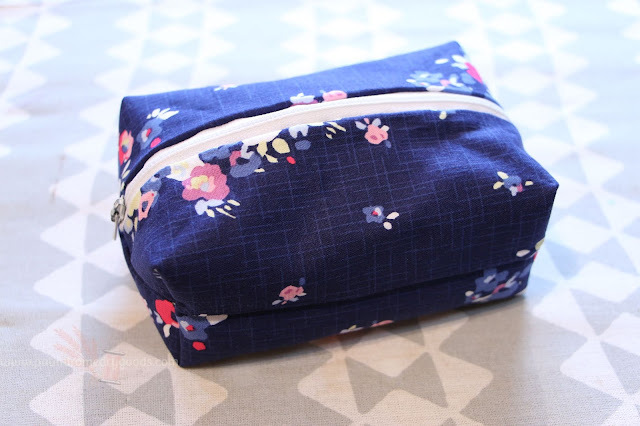 The finished black pouch measures 4" tall x 5 1/4 " long x 6 1/2" wide. 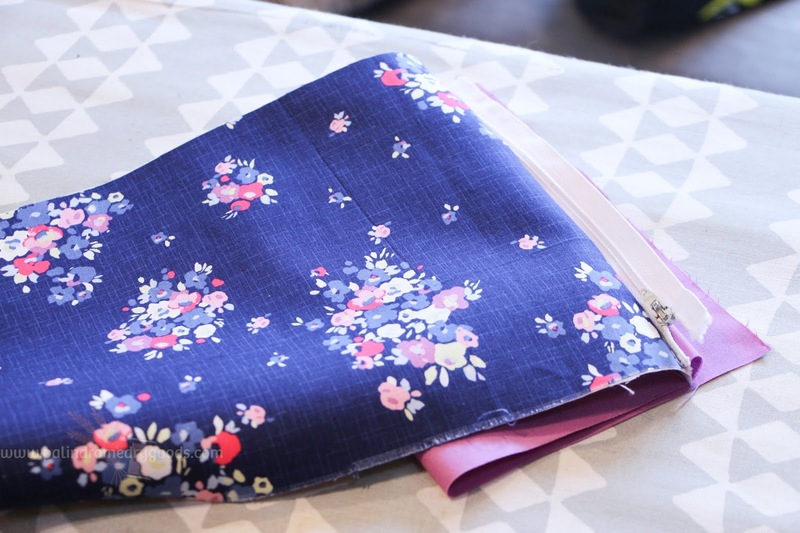 For a pouch the size of the blue one, insert the rotary blade into the Maker and let it cut 1 piece of exterior fabric, 1 piece of lining fabric and 1 piece of quilt batting or interfacing that each measure 11" x 22". 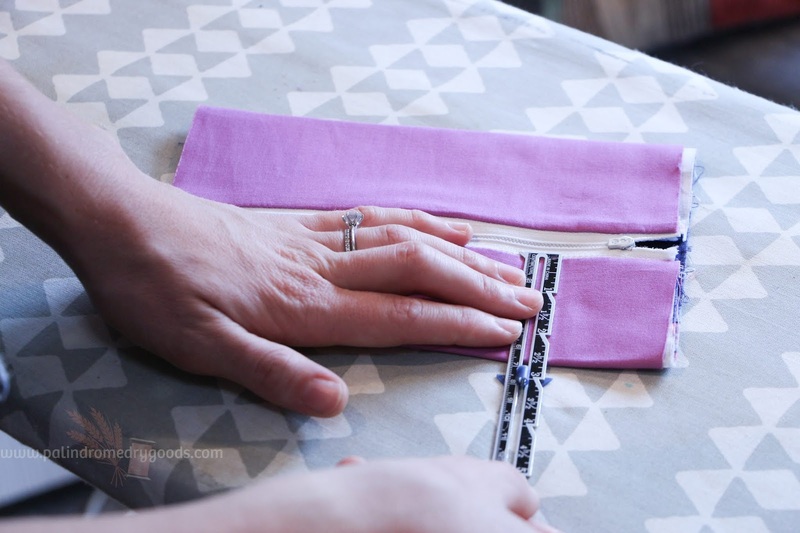 For a pouch the size of the black one, cut each of the three fabrics to measure 8.5 x 12. 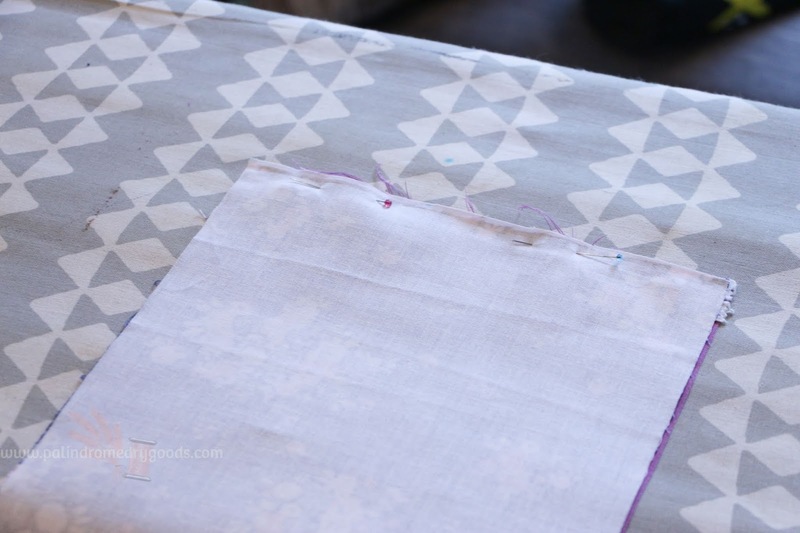 Apply interfacing or quilt batting to the wrong side of the exterior fabric. 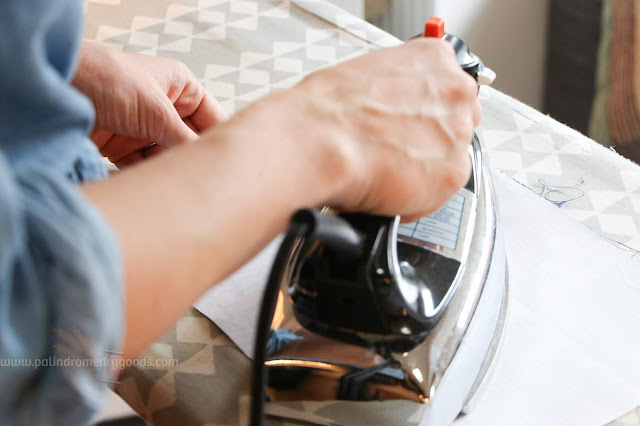 Iron your lining fabric, right side up. 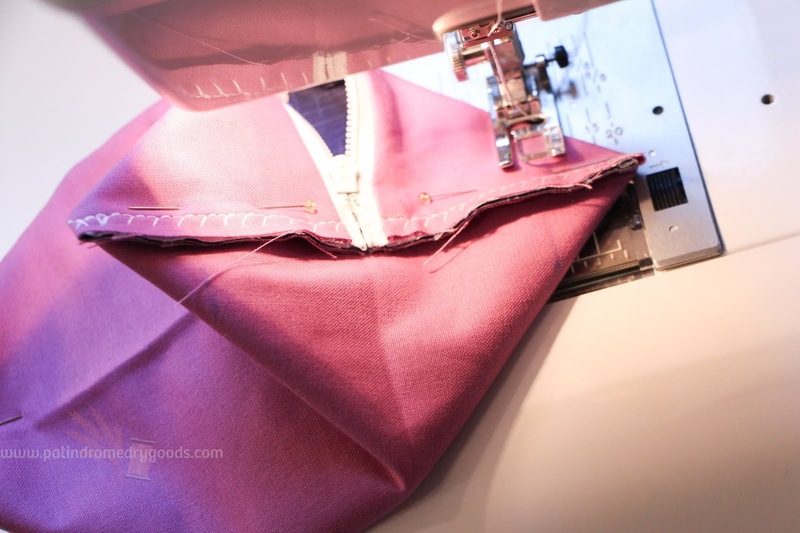 Align the zipper, right side up, on top of the lining with the raw edge of the fabric and the top edge of the zipper flush with one another. Place your exterior fabric, right side down, over the zipper and lining fabric. 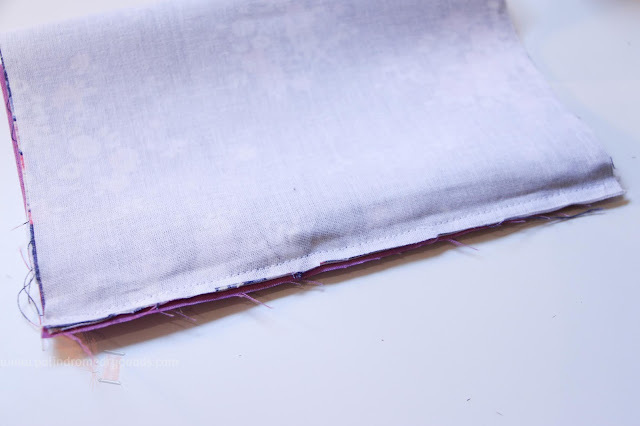 Now, flip the lining, zipper and exterior fabric over. 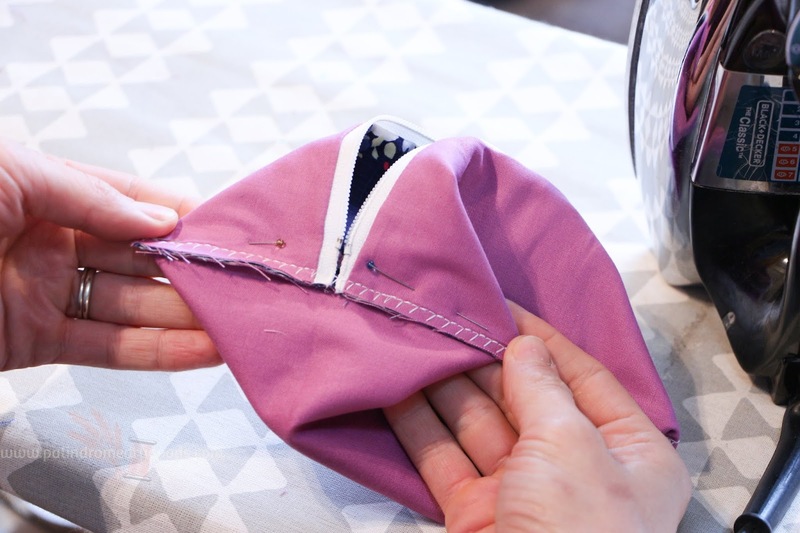 Fold the lining fabric up so that you can align the unpinned edge of your lining fabric, and the unpinned edge of your zipper. 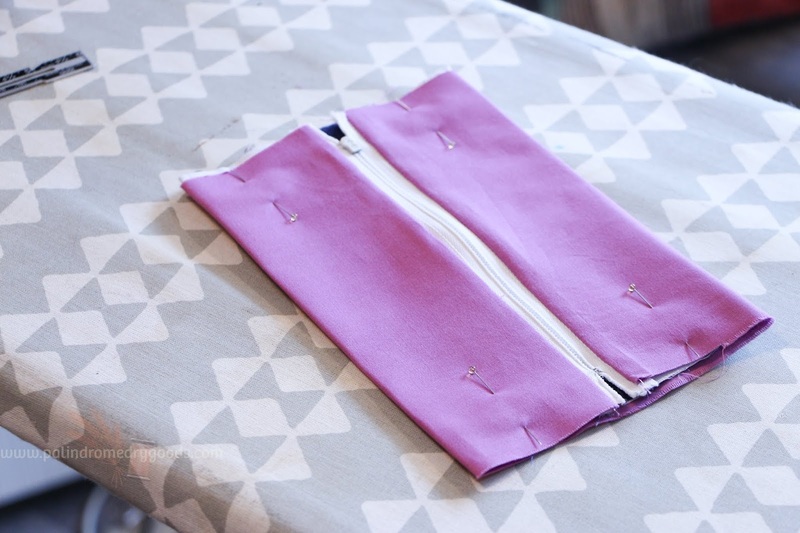 Now align the unpinned edge of the exterior fabric with the zipper and lining. The right sides of your exterior fabric will be touching. 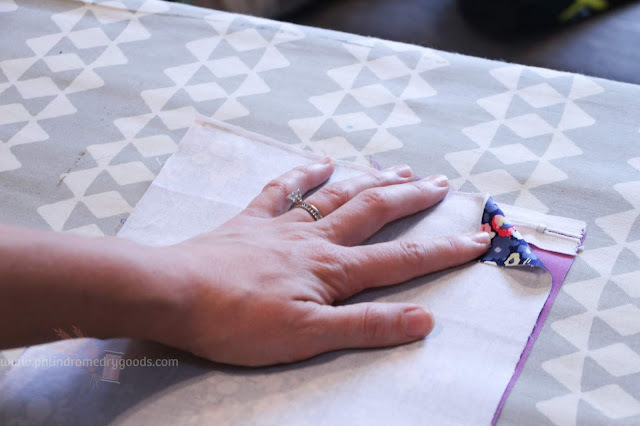 Pin the edge in place. 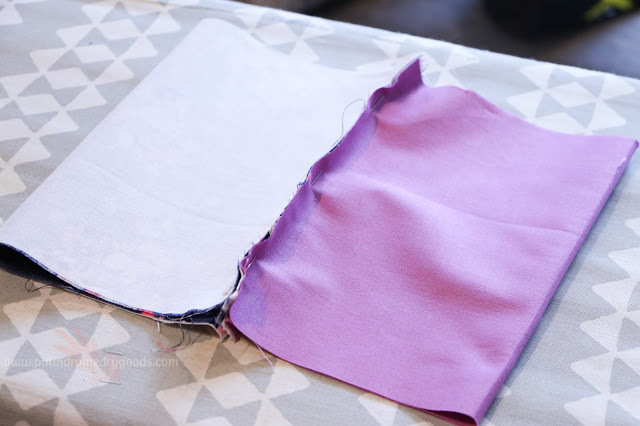 The picture below is what your piece should resemble. 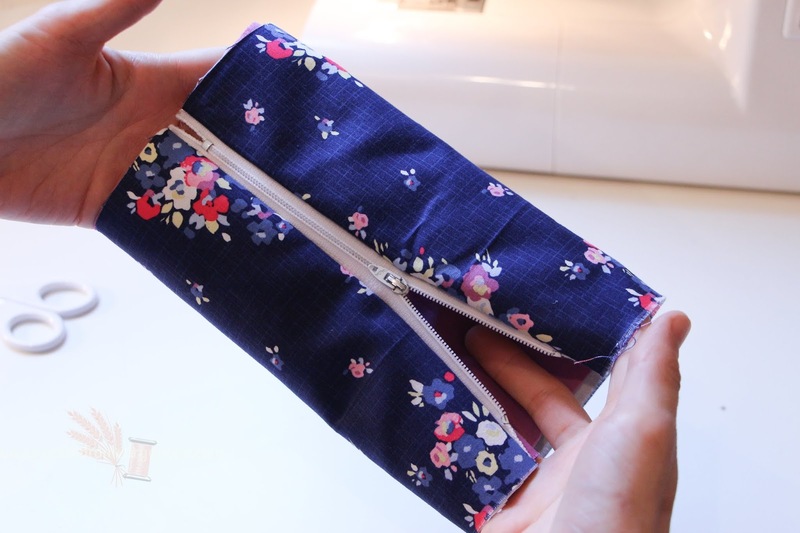 You should have the lining on one side and exterior on the other side with the zipper sandwiched in the middle. Put your zipper foot on your machine. Your zipper foot may look different than mine. 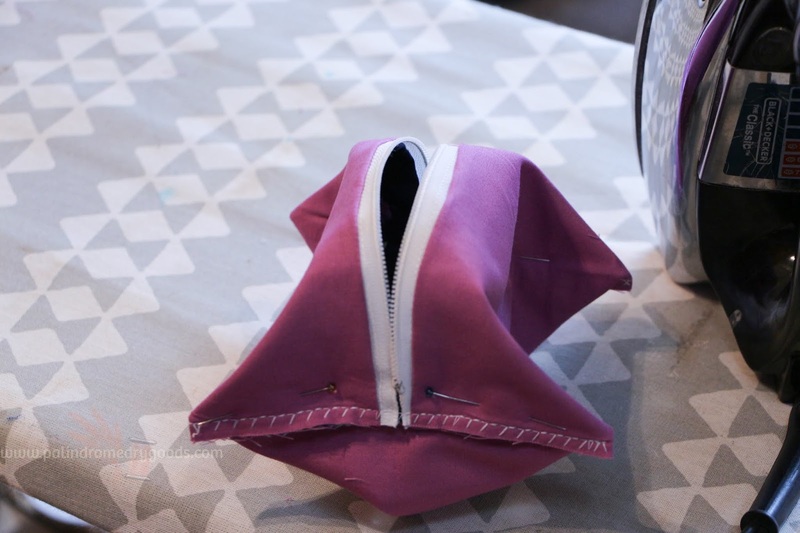 You should be able to feel the zipper teeth underneath the fabric. Sew closely to the teeth, moving slowly as you go along. 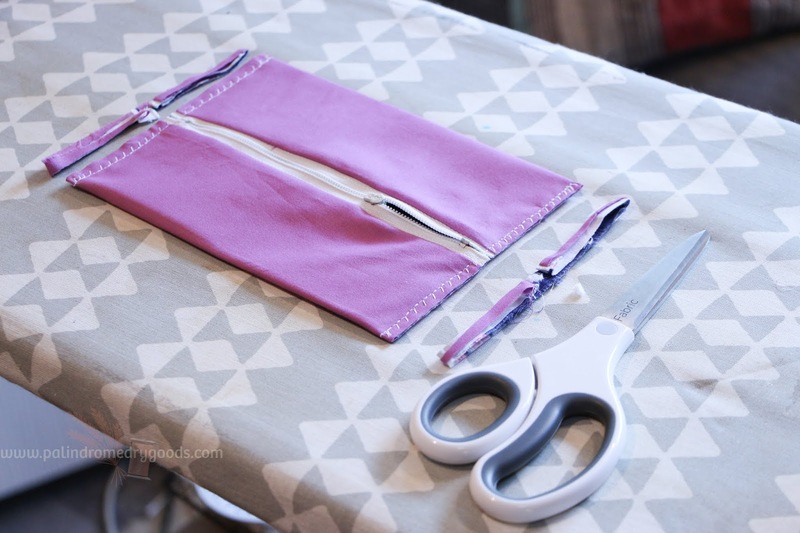 Flip your piece over and sew the seam on the other side of the zipper. 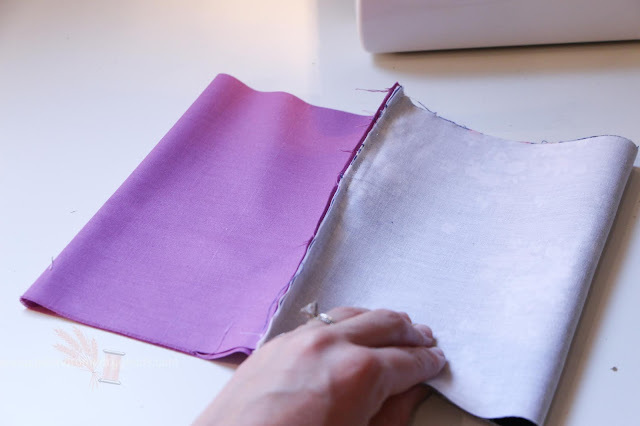 When you're done sewing, your piece should resemble the photos below. 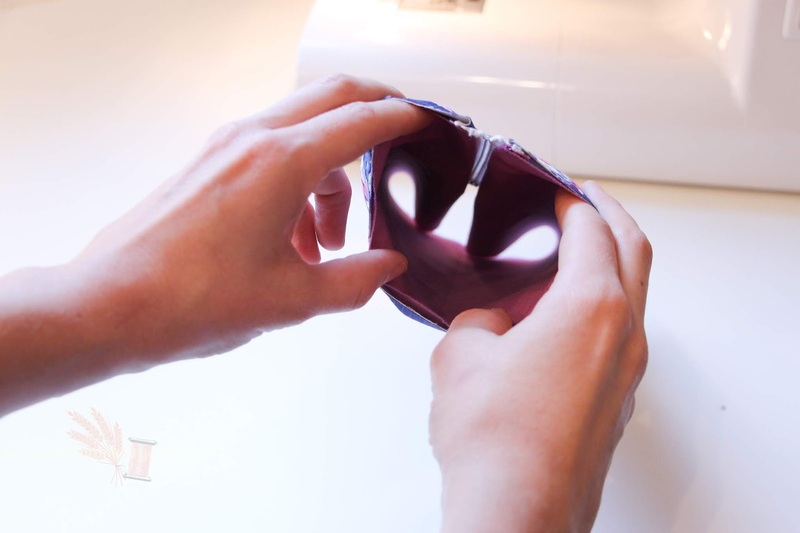 Flip the piece inside out and measure the distance from the zipper to each side of the pouch, adjust until it's even. 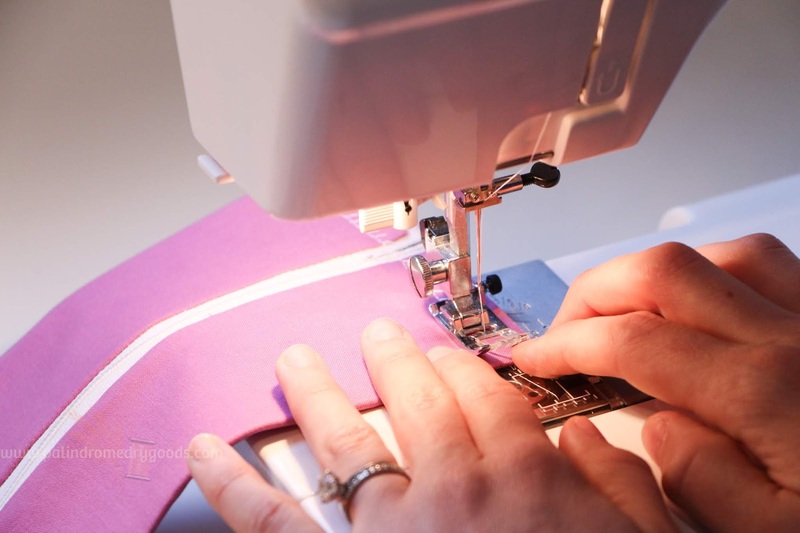 Put the regular zig-zag stitch foot back on your sewing machine. 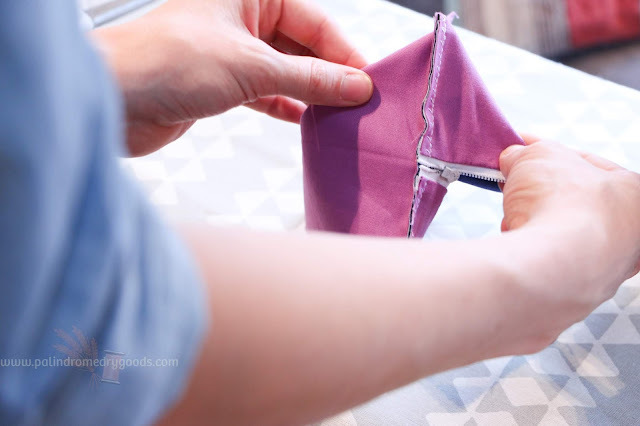 Unzip the pouch several inches. Sew a seam at each end with 1/2" seam allowance. Watch out for the zipper! 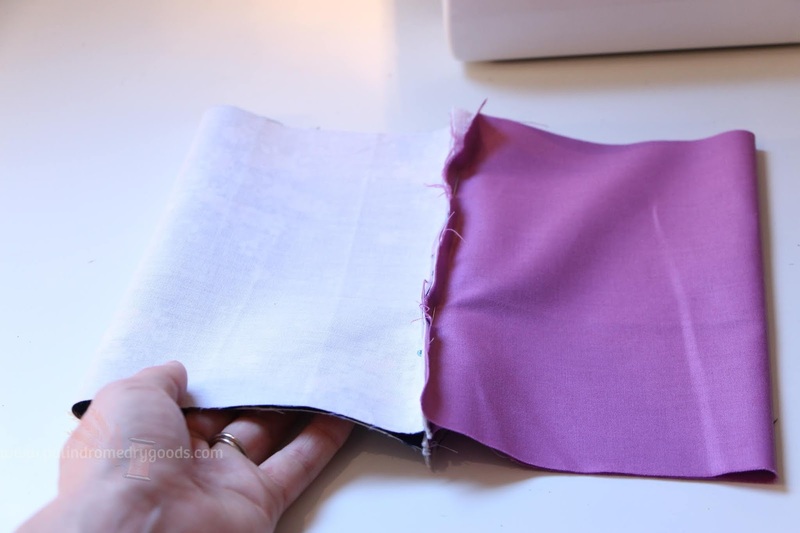 I recommend sewing these seams with an overlock stitch. Now, let's create the boxy shape. 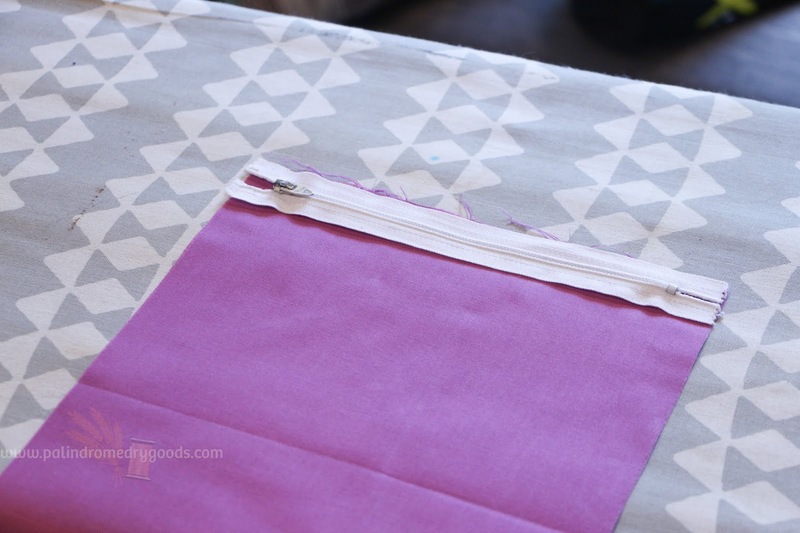 At each corner, fold the pouch so that the seam lines up with the folds at the side of the pouch. Mark 1" from the point of each corner and draw a straight line across the corners. 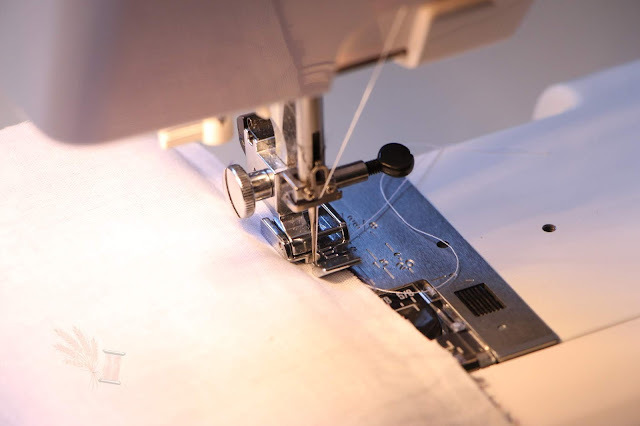 Sew on the line you drew, again, using an overlock stitch. Trim each of the 4 corners. 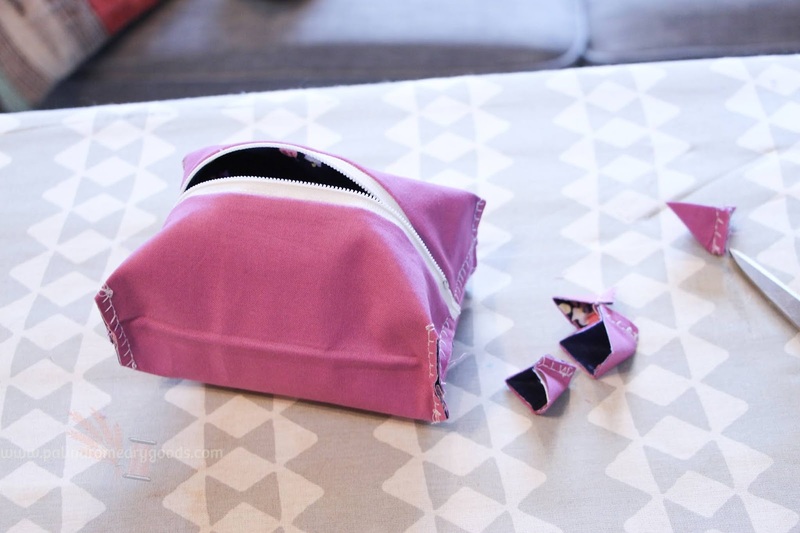 You may choose not to do this, but I find that it makes the bag significantly less bulky. 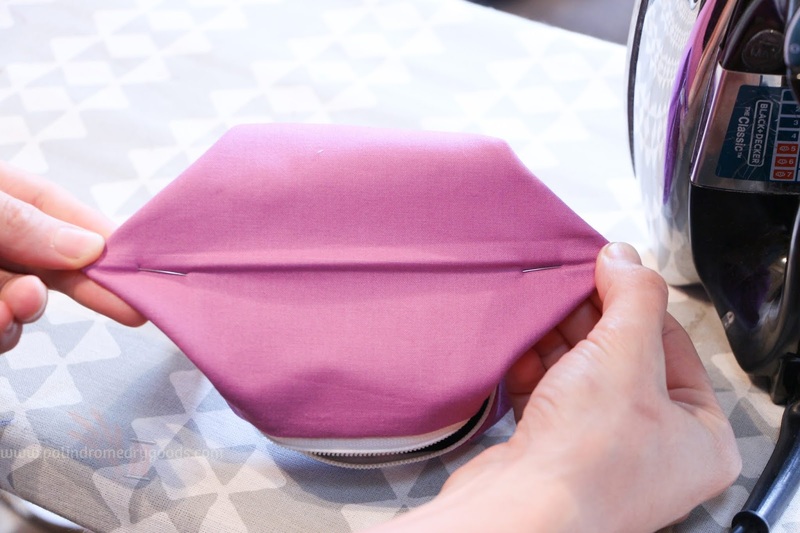 Turn the bag right sides out and admire! Thanks so much for stopping by. 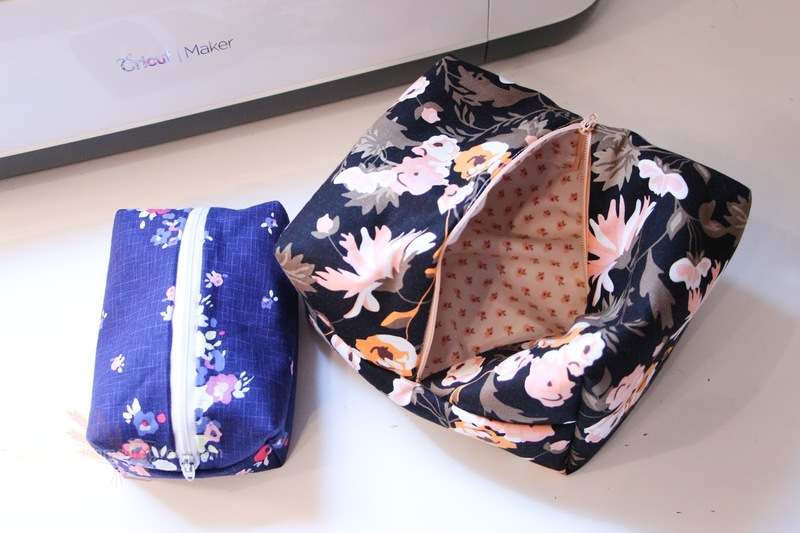 I hope you'll have as much fun making these pouches as I do. I ahve a variety of them in different sizes for makeup, my hair straightener, shoes, travel needs and office supplies. If you have other questions about the Maker, please ask me in the comments below. I'd be happy to answer!